After I take my pumpkin pie out of the oven and before I dive into solving the equation of x = y x 15 (+/- 30)–where y = weight in pounds and x equals total minutes in oven and (+/- 30) is the time it takes for any turkey to either come out absolutely perfect or, alternately, pink in the middle and black on the outside leading to a Thanksgiving where mashed potatoes will serve as the main course–I will take one of those minutes to reflect on my favorite Thanksgiving Day movie. Thirty-five years ago, The Band decided to throw a little concert on Thanksgiving to commemorate the end of an era spent on the road. They opened up the Winterland Ballroom in San Francisco, served up a few thousand turkey dinners, and then played music all night with a bunch of their friends. 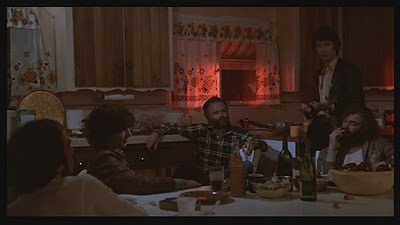 And since one of their friends is Martin Scorsese, we all have the privilege of watching the night play out in the film, The Last Waltz. The boys play nice on stage, which is just one reason The Last Waltz is one of the greatest concert films ever—fantastic for its footage of all these terrific musicians playing at their peak. But backstage it’s just another classic Thanksgiving, full of all the love and bitterness and age-old grievances that every family has after so many years stuck together. Robbie Robertson is the big mouth, commandeering every conversation and taking credit for whatever he can, while Levon Helm sits and smokes, interjecting wry comments in a slow, careful drawl, barely containing the loathing for his blowhard brother behind a polite, Southern smile. Rick Danko is your happy-go-lucky ameliorator—the middle kid I guess—who drinks too much and plays the sad clown, wishing everyone could just get along, and Richard Manuel and Garth Hudson are your classic bachelor brothers, shy and eccentric and in the shadows. Every other guy in the concert is a cousin or long-lost uncle—from Ronnie Hawkins and Dr. John to Neil Young and Van Morrison—and every other girl is singing backup or hiding out in the kitchen (except for Joni Mitchell, who of course is the exotic, astonishing aunt that everyone’s a little in awe of). Neil Diamond is there just so everyone can whisper “Who invited that guy?” before Bob Dylan comes out to lead a heartfelt and satisfying sing-along before we all escape back home. So if you’re looking for reasons to slip away from your own family for a few moments today, or if you’re on your own this holiday, waxing nostalgic (or not) for Thanksgivings gone by, take a minute for The Last Waltz. Thanks to You Tube you can watch pretty much the entire movie in a series of three-minute clips, so I’ll leave you with my favorite for today—in memory of Rick Danko and Richard Manuel—because every Thanksgiving should begin with a moment of silence for those who won’t be pulling up a chair to the table. 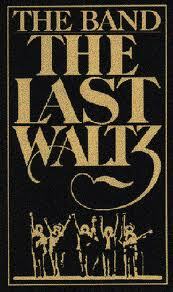 I read a review of the Last Waltz, maybe when a previous anniversary edition was released in 2001. The reviewer said that a large part of the concert’s poignancy was that all the participants were giants (we’ll give Neil Diamond the benefit of the doubt, here) and, with the exception on Neil Young, had already completed their greatest musical achievements. Basically, the concert was the turning point of an era, when those musicians that came out of the Sixties still commanded the stage, but would never equal what they had done. Young was still to release “Rust Never Sleeps”, so he got a pass. 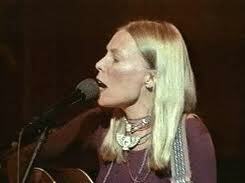 It’s a narrow assessment, because Joni Mitchell continued to make some great, and even wilder, albums and certainly Bob Dylan’s output since 1997 has had many unprecedented highs, but I get his point. They were at the pinnacle of cool, looking down the other side, and a few years away from elder statesmen or women of rock status. 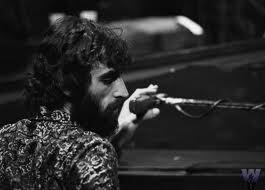 And watching Richard Manuel adds a hint of regret to the whole thing. He has always been my favorite member of the Band. How funny that you commented, since you are one of the people I first saw “The Last Waltz” with–the weekend we rented the VCR with Larry to watch this and the Van Morrison concert?–We did our best to make sure the ’70s never ended in northern Vermont. And yes, it was a remarkable concert–on par with the concert for Bangladesh only more intimate. And yes, Manuel was wonderful–I remember seeing him sharing lead on “The Weight” in a concert clip from the ’80s (sans Robertson, everyone’s LEAST favorite member), and it made me wish he’d done that far more often. 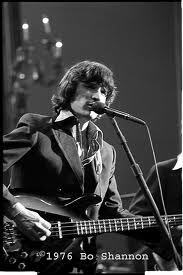 Rick Danko was my favorite–another one who went too soon. And I thought it remarkable that they all were such great songwriters as well–a true collaboration. And you’re so right about the history–it’s one more aspect of The Last Waltz that is great–that they pay tribute to everyone they played with along the way.